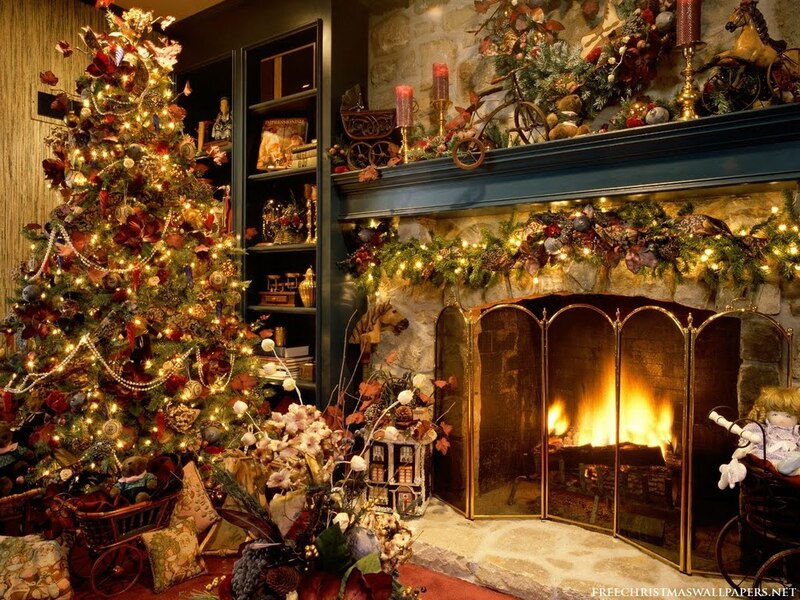 On this shortest day of the the year, the Court has made one last big puff and delivered over 50 judgments, at the end of a year which was both turbulent, very busy for the Strasbourg institutions, and which also saw increasing criticism on the European human rights mechanisms as such. At least, with the Interlaken Summit, the contracting parties have started to take the predicament of their common human rights protection system more seriously. Let us hope they take concrete steps in the year ahead to follow-up on their pledges made at the edge of the Swiss lakes to protect human rights more effectively! The 150th post of 2010 is also the last one of the year on this blog. With over 125,000 pageviews this year (compared to 70,000 last year) from over 160 countries the audience of ECHR Blog continues to grow. Many thanks to all my readers for their attention and input! 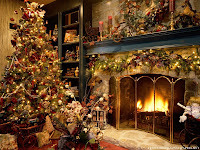 I wish you all a good holidays season and a happy 2011! The 47 governments of the Council of Europe are considering a proposal which would impose an additional barrier for victims of human rights violations to have access to justice. This document gives reasons why some governments and non-governmental organizations, including Amnesty International, the AIRE Centre, the European Human Rights Advocacy Centre (EHRAC), Human Rights Watch, the International Commission of Jurists, Interights, Justice and REDRESS, are calling for the proposal to be rejected outright. Amnesty International encourages civil society organizations in all CoE member states to sign the petition appended to the document. 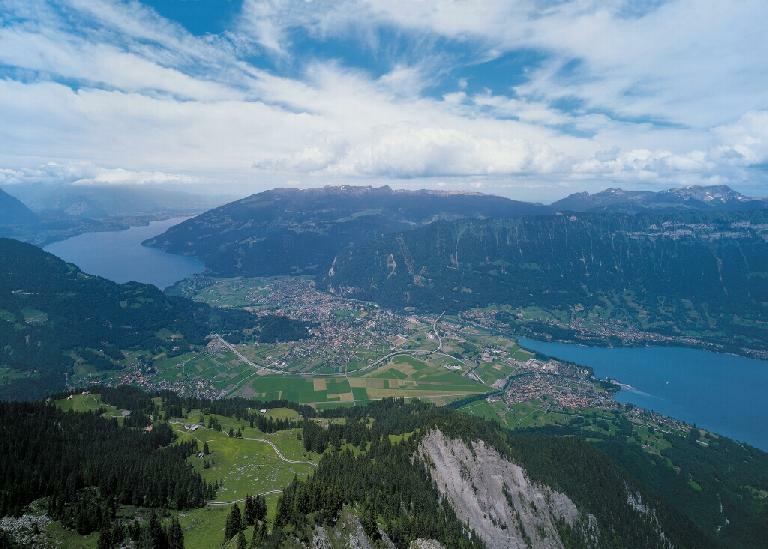 Click here for a recently issued commentary of the group of NGOs on the Interlaken Action Plan. The follow-up to Interlaken will be discussed in a Council of Europe meeting in Izmir in April next year. The Swedish judicial administration provides a handy, almost monthly (11 times a year) update service of ECHR case-law in the form of an electronic digest. A covenient way for all Swedish ECHR-interested and Scandinavians and others able to read Swedish. I have also added it to the sidebar under 'relevant links'. Yesterday, the Grand Chamber of the European Court of Human Rrights issued its judgment in the long-awaited case of A, B, and C v Ireland on abortion rights. Essentially, the Court held that Ireland must enable access to abortion in situations in which a woman's life is at risk. Although legally and in theory this was already possible in Ireland, doctors assisting in this faced criminal sanctions if after the fact the life of the woman could be shown not to have been at risk - a powerful dissuader in practice to access to abortion. Leaving a margin of appreciation, the Court did not hold that the ECHR obliges states to allow abortion in other situations. A wide variety of abortion legislation throughout Europe is thus still possible. The judgment dealt with the complaints of three women, in different situations, but having in common that they felt compelled to travel from Ireland to the United Kingdom in order to undergo an abortion, because of the legal restrictions in Ireland itself. The applicants complained about Article 3 ECHR (prohibition of ill-treatment), amongst others, but the Court held that although (para. 163) "travelling abroad for an abortion was both psychologically and phydically arduous for each of the applicants", this did not reach the minimum level of severity for Article 3 to apply. 231. The Court considers that the breadth of the margin of appreciation to be accorded to the State is crucial to its conclusion as to whether the impugned prohibition struck that fair balance. The Government maintained that, in the context of abortion laws, the State’s margin was significant and unaffected by any European or international consensus. The first and second applicants argued that, while a margin was to be accorded, the right to life of the unborn could not be accorded primacy to the exclusion of the proportionate protection of the rights of women and, further, that it was crucial to take account of the consensus outside of Ireland towards broader access to abortion. 232. The Court recalls that a number of factors must be taken into account when determining the breadth of the margin of appreciation to be enjoyed by the State when determining any case under Article 8 of the Convention. Where a particularly important facet of an individual’s existence or identity is at stake, the margin allowed to the State will normally be restricted (see Evans v. the United Kingdom [GC], cited above, § 77). Where, however, there is no consensus within the Member States of the Council of Europe, either as to the relative importance of the interest at stake or as to the best means of protecting it, particularly where the case raises sensitive moral or ethical issues, the margin will be wider (Evans v. the United Kingdom [GC], cited above, § 77; X., Y. and Z. v. the United Kingdom, judgment of 22 April 1997, Reports of Judgments and Decisions 1997-II, § 44; Frette v. France, no. 36515/97, § 41, ECHR 2002-I; Christine Goodwin, cited above, § 85). As noted above, by reason of their direct and continuous contact with the vital forces of their countries, the State authorities are, in principle, in a better position than the international judge to give an opinion, not only on the “exact content of the requirements of morals” in their country, but also on the necessity of a restriction intended to meet them (Handyside v. the United Kingdom judgment and the other references cited at paragraph 223 above). 233. There can be no doubt as to the acute sensitivity of the moral and ethical issues raised by the question of abortion or as to the importance of the public interest at stake. A broad margin of appreciation is, therefore, in principle to be accorded to the Irish State in determining the question whether a fair balance was struck between the protection of that public interest, notably the protection accorded under Irish law to the right to life of the unborn, and the conflicting rights of the first and second applicants to respect for their private lives under Article 8 of the Convention. 234. However, the question remains whether this wide margin of appreciation is narrowed by the existence of a relevant consensus. The existence of a consensus has long played a role in the development and evolution of Convention protections beginning with Tyrer v. the United Kingdom (25 April 1978, § 31, Series A no. 26), the Convention being considered a “living instrument” to be interpreted in the light of present-day conditions. Consensus has therefore been invoked to justify a dynamic interpretation of the Convention (Marckx v. Belgium, judgment of 13 June 1979, Series A no. 31, § 41; Dudgeon v. the United Kingdom, judgment of 22 October 1981, Series A no. 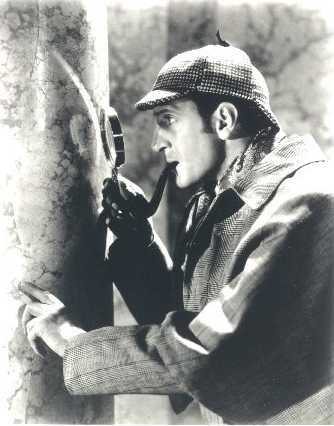 45, § 60; Soering v. the United Kingdom, judgment of 7 July 1989, Series A no. 161, § 102; L. and V. v. Austria, nos. 39392/98 and 39829/98, § 50, ECHR 2003-I and Christine Goodwin v. the United Kingdom [GC], cited above, § 85). 235. In the present case, and contrary to the Government’s submission, the Court considers that there is indeed a consensus amongst a substantial majority of the Contracting States of the Council of Europe towards allowing abortion on broader grounds than accorded under Irish law. In particular, the Court notes that the first and second applicants could have obtained an abortion on request (according to certain criteria including gestational limits) in some 30 such States. The first applicant could have obtained an abortion justified on health and well-being grounds in approximately 40 Contracting States and the second applicant could have obtained an abortion justified on well-being grounds in some 35 Contracting States. Only 3 States have more restrictive access to abortion services than in Ireland namely, a prohibition on abortion regardless of the risk to the woman’s life. Certain States have in recent years extended the grounds on which abortion can be obtained (see paragraph 112 above). Ireland is the only State which allows abortion solely where there is a risk to the life (including self-destruction) of the expectant mother. Given this consensus amongst a substantial majority of the Contracting States, it is not necessary to look further to international trends and views which the first two applicants and certain of the third parties argued also leant in favour of broader access to abortion. 236. However, the Court does not consider that this consensus decisively narrows the broad margin of appreciation of the State. 237. Of central importance is the finding in the above-cited Vo case, referred to above, that the question of when the right to life begins came within the States’ margin of appreciation because there was no European consensus on the scientific and legal definition of the beginning of life, so that it was impossible to answer the question whether the unborn was a person to be protected for the purposes of Article 2. Since the rights claimed on behalf of the foetus and those of the mother are inextricably interconnected (see the review of the Convention case law at paragraphs 75-80 in the above-cited Vo v. France [GC] judgment), the margin of appreciation accorded to a State’s protection of the unborn necessarily translates into a margin of appreciation for that State as to how it balances the conflicting rights of the mother. It follows that, even if it appears from the national laws referred to that most Contracting Parties may in their legislation have resolved those conflicting rights and interests in favour of greater legal access to abortion, this consensus cannot be a decisive factor in the Court’s examination of whether the impugned prohibition on abortion in Ireland for health and well-being reasons struck a fair balance between the conflicting rights and interests, notwithstanding an evolutive interpretation of the Convention (Tyrer v. the United Kingdom, § 31; and Vo v. France [GC], § 82, both cited above). 238. It is indeed the case that this margin of appreciation is not unlimited. The prohibition impugned by the first and second applicants must be compatible with a State’s Convention obligations and, given the Court’s responsibility under Article 19 of the Convention, the Court must supervise whether the interference constitutes a proportionate balancing of the competing interests involved (Open Door, § 68). A prohibition of abortion to protect unborn life is not therefore automatically justified under the Convention on the basis of unqualified deference to the protection of pre-natal life or on the basis that the expectant mother’s right to respect for her private life is of a lesser stature. Nor is the regulation of abortion rights solely a matter for the Contracting States, as the Government maintained relying on certain international declarations (paragraph 187 above). However, and as explained above, the Court must decide on the compatibility with Article 8 of the Convention of the Irish State’s prohibition of abortion on health and well-being grounds on the basis of the above-described fair balance test to which a broad margin of appreciation is applicable. The Court considers that the uncertainty generated by the lack of legislative implementation of Article 40.3.3, and more particularly by the lack of effective and accessible procedures to establish a right to an abortion under that provision, has resulted in a striking discordance between the theoretical right to a lawful abortion in Ireland on grounds of a relevant risk to a woman’s life and the reality of its practical implementation. Here the Court in effect chastises the slowness of the Irish executive and legislative in implementing such clarity, since for more than a decade, this lack of clarity had been noted by official institutions, such as the Constitution Review Group, in Ireland itself. Several judges attached concurring and dissenting opinions, several of which deal with the European consensus and margin of appreciation issue. The Lithuanian government (applicant C was a Lithuanian national) and a range of other third parties were given leave to intervene in the proceedings, both pro and contra abortion. The press release on the case can be found here. For coverage by the UK Human Rights Blog, click here. And for coverage by the Human Rights in Ireland blog, click here. Almost as soon as it was out, this judgment was nominated for the Women´s Link Worldwide´s Gender Justice Uncovered Awards. These awards are meant to identify the best and the worst judicial decisions related to gender justice. Other ECHR judgments nominated so far are Hajduova v Slovakia, and Konstantin Markin v Russia, both highlighted earlier on this blog. To nominate or vote, click here. Connected to yesterday's post, the Court has launched another post-Interlaken initiative to try and stem the influx of new applications: a Partical Guide on ECHR admissibility criteria. The very elaborate document (over a 100 pages) is a clearly structured overview of the Court's admissibility criteria, with links in the document to the relevant jurisprudence. As the Court's president Costa said: "This handbook will enable lawyers to properly advise their clients on their chances of bringing an admissible case to the European Court of Human Rights. It will save them time, energy and unnecessary expense and it will free the Court to fulfil its vital role, judging serious and important cases to improve human rights protection for over 800 million people." One may hope he is right, but these efforts of information are no panacea for the Court's problems as a comment to yesterday's post rightly emphasized. 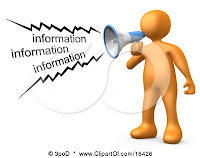 Information is one thing, willingness to reconsider to apply is another. Still, it is a starting point which necessitates further training at the national level by national bar associations and during the education of lawyers. For the moment the Guide is available in both French and English and there will be versions in Turkish and russian later on. Hopefully, other countries from which many applications come will decide to translate the guide into their own national languages. In order to stem the flood of applications and to make the Court's jurisprudence better known, the Court has been posting so-called fact sheets on its website. These are thematic sheets with the main relevant cases in short summaries. Last week the Court added ten new sheets to the existing ones. They relate to the following issues: children’s rights, collective expulsions, conscientious objection, protection of journalists’ sources, racial discrimination, right to one’s own image, social welfare, trade union rights, transsexuals’ rights, and violence against women. The Court promises regular updates and therefore has also included pending cases. The Athens Bar Association and the Greek Ministry of Justice, Transparency and Human Rights are organising a seminar at the occasion of the retirement of the Greek judge Christos Rozakis from the European Court of Human rights. The event will take place on Monday 20 December and is entitled 'The Protection of the Individual Within the European Legal Order'. Time and venue: 18h30 in the Ceremony Hall of the Athens Bar Association (Akadimias str. 60, 1st floor). and the honoree Christos Rozakis: “The Completion of European Protection with the accession of the European Union to ECHR”. In the globalizing world of today, the conduct of states often affects the human rights of persons situated outside of those states’ territories. The problem of applying human rights to such state conduct has become increasingly topical as a result of phenomena such as the ‘war on terror’, foreign military interventions and economic globalization. The controversies as regards the applicability of human rights treaty law in such cases stem mainly from the wording of the relevant treaty provisions. The principal treaties on civil and political rights require states to guarantee certain human rights to persons ‘within their jurisdiction’, while treaties on economic, social and cultural rights specifically envisage international cooperation of states parties for the purposes of achieving these rights. The meaning of ‘jurisdiction’ and the precise nature and content of the obligation of international cooperation are subject to debate. This study explores the question of extraterritorial application of principal universal and regional human rights treaties. It covers treaties on civil and political rights as well as those on economic, social and cultural rights. The study seeks to determine to what extent and under which circumstances human rights treaties are applicable to state conduct which affects the human rights of persons situated outside the borders of the state party in question. The problem is analyzed by reference to the rules of treaty interpretation and in the conceptual framework of public international law. It contains thorough analysis of preparatory works of the relevant treaties, the case law of the International Court of Justice and of human rights courts on the subject, as well as other output of human rights treaty bodies. State practice, including the case law of national courts, is also explored. 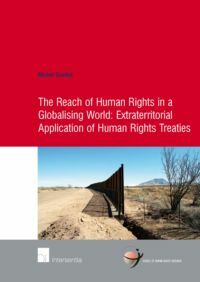 The study argues for a flexible approach to extraterritorial application of human rights treaties, which would make it possible for the human right systems to respond to the challenges posed by the ever more notorious extraterritorial state conduct. The table of contents can be found here. Congratulations, Michal! The European Convention on Human Rights was drafted in the wake of World War II. The dark shadows of war have never fully receded from Europe however. Armed conflict has resurged time and again, from Northern Ireland to Cyprus and Turkey, and from the former Yugoslavia to the Caucasus. 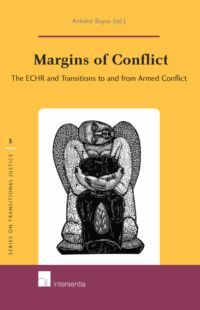 This book focuses on the margins of conflict: human rights aspects of transitions from peace to armed conflict and vice versa. Firstly, it seeks to explore what limits human rights put on European societies which are on the brink of armed conflict. Secondly, it surveys the consequences of human rights violations committed during the armed conflict by looking at the aftermath of war. In a stimulating way, experts in their field offer food for thought on a broad range of material and especially procedural issues such as the territorial scope of the Convention, states of emergency, freedom of expression and conflict escalation, obligations relating to enforced disappearances, interim measures, and pilot judgments. Taken together, they reflect both the potential and limitations of human rights in the run-up to conflicts and their aftermath. The table of contents can be found here. Recommended (how could I say otherwise)! 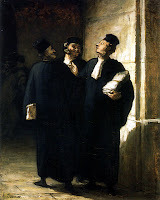 For those readers who read French: Hélène Tigroudja of Artois University has posted a working paper on SSRN on the principle of 'Nullum Crimen, Nulla Poena Sine Lege' in the case-law of the European Court of Human Rights: International Crimes and the Principle 'Nullum Crimen, Nulla Poena Sine Lege' (Crimes de Droit International et Principe 'Nullum Crimen, Nulla Poena Sine Lege'). 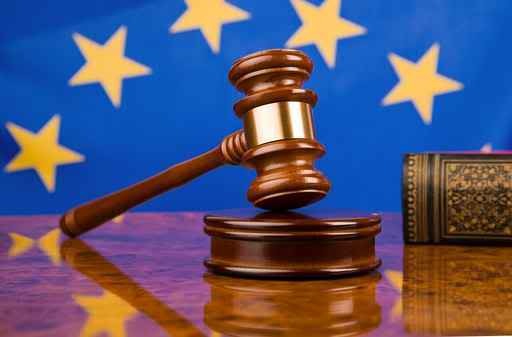 As the very succinct summary provides: Critical Overview of the jurisprudence of the European Court of Human Rights dedicated to Article 7 of the ECHR in cases of prosecutions of war crimes, crimes against humanity and genocide (Kononov case). This week, the European Court of Human Rights re-emphasized state obligations to protect victims of domestic violence in the case of Hajduová v. Slovakia. The case concerned a mother who had been verbally and physcially attacked by her husband - attacks which included death threats. 49. The Court observes that the instant application is distinguishable from the cases to which it has referred concerning domestic violence resulting in death (see, in particular, the Court's judgments in the cases of Kontrová v. Slovakia, no. 7510/04, ECHR 2007-VI (extracts) and Opuz cited above, in which it found violations of Articles 2 and 13 and Articles 2, 3 and 14 of the Convention respectively). It is clear that A. 's repeated threats following his release from hospital, which constitute the basis of the applicant's complaint under Article 8 of the Convention, did not actually materialise into concrete acts of physical violence (compare and contrast the case of Bevacqua, cited above, in which the Court found that the State had breached its positive obligations under Article 8). Notwithstanding, the Court considers that given A. 's history of physical abuse and menacing behaviour towards the applicant, any threats made by him would arouse in the applicant a well-founded fear that they might be carried out. This, in the Court's estimation, would be enough to affect her psychological integrity and well-being so as to give rise to an assessment as to compliance by the State with its positive obligations under Article 8 of the Convention. Real vigilance and concrete action bu states is thus called for in such cases. The press release on the judgment can be found here. 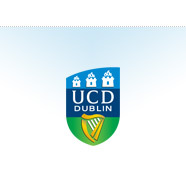 The organising committee of the 2011 PhD Workshop on Human Rights in University College Dublin School of Law invite proposals for a workshop to be held 1st-2nd of April on the theme of ‘The Legacy and Future of the ECHR: Evaluating Sixty Years of the European Human Rights Project’. This interdisciplinary workshop seeks submissions from a legal, political, philosophical, socio-scientific or interdisciplinary perspective that critically evaluate the role of the European Convention on Human Rights over the past sixty years and the impact it will have on the future European landscape. This dynamic, intensive workshop aims to stimulate debate on both the successes and the limitations of the ECHR. The workshop will take a plenary form, with established academics specialist in the field acting as discussants to participants’ papers. Applicants are asked to submit an abstract of no more than 400 words on their proposed papers. We are delighted to announce that selected papers will be published (subject to editorial review) in a special edition of the German Law Journal. In addition the Irish Society for International Law will present a prize for the best paper. The deadline for submission of abstracts is Friday 11th February 2011. Successful applicants shall be notified no later than 2 weeks of this date. Justice John Hedigan of the Irish High Court, and former Judge of the European Court of Human Rights, will deliver the keynote address and Mr Michael O’Boyle, Deputy Registrar of the European Court of Human Rights will speak at the event. We regret that we are not in a position to offer financial support for travel to the conference or for accommodation.